The Missouri Mom: Great Halloween Events You Should Not Miss! Great Halloween Events You Should Not Miss! Halloween is upon us and while some of us will be out trick or treating others of us will be kicking the weekend off in style....for me I will some how managing to do both! 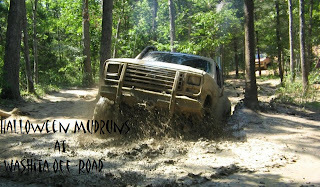 Here is a list of a few of the GREAT events that I have heard RAVE reviews about! I have heard nothing, but great reviews of how much fun is to be had at this place. 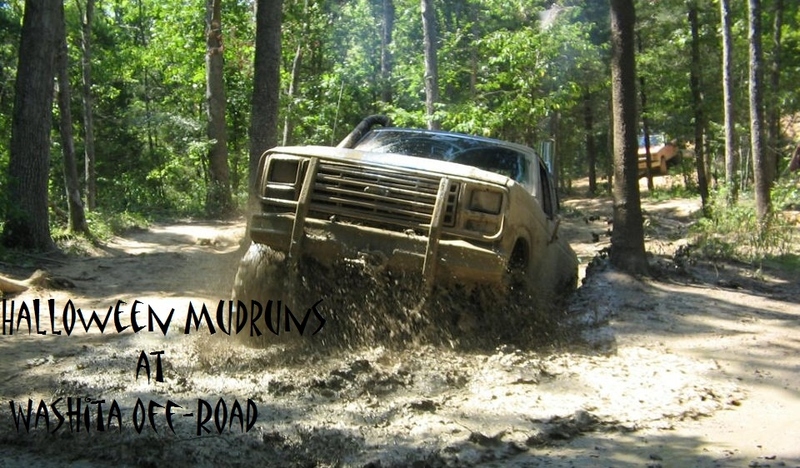 Sadly, I have not had the pleasure of scoping this place out, but has made my pledge that off-road parks are going to be one of my next BIG adventures! Costumes are not required but could definitely make things interesting! Be there and bring all your friends!!!! Now I have not attended their annual Halloween Bash, but I have visited Vance Vineyard, you can read all about my visit to Vance Vineyard here. Yes, they earn my two thumbs up for being a snazzy place to dine and enjoy some wine. 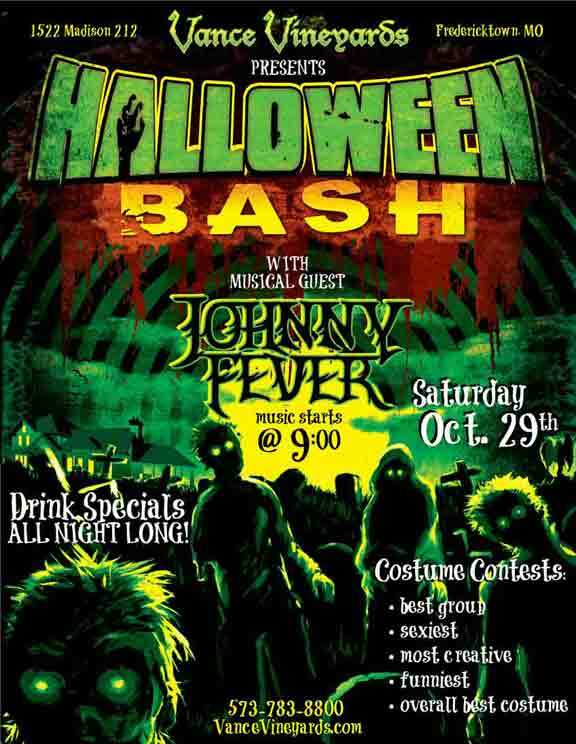 Vance Vineyard will be spooking up Halloween with Johnny Fever. 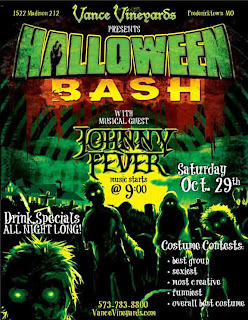 Scariest, Sexiest, Best Group, Most Original, Funniest, and Over all best costume of the night wins Trophy, Gift Card and Bragging Rights! See if you can catch Executive Chef Trent and his capricious personality...I am sure he will be dressed to impress, but I won't say much more or he may try to dress up as me! Bring yourself to downtown Cape Girardeau, MO for a weekend of some spooktacular fun! Sadly, once again I have not attended this event, I apparently live more a of a sheltered life than I think I do, but I have heard nothing but RAVE reviews and only pass along what I hear GREAT things about. Progressive bluegrass stomp down in Old Town Cape along with a DJ room dance party upstairs in Port Cape both nights. 2 Day Early Bird Passes are $12 at Hempies & go on sale 10 October 2011. Haunted maze and tons of spooky creations wondering amongst the crowd. Enjoy craft beers and delicious foods from a vast array of vendors located in our beer garden. 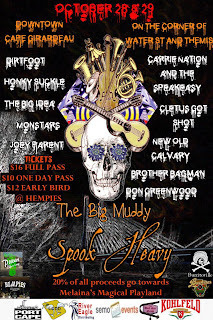 For more details please visit The Big Muddy Spook Heavy's Event Page. Have a SPOOKTACULAR Halloween....I promise I will be adding some KID FRIENDLIER HALLOWEEN EVENTS to my blog very very soon!